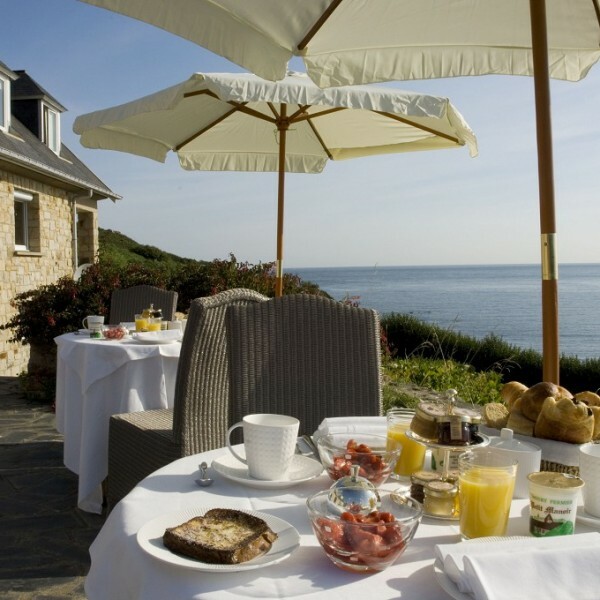 Dawn breaks and at L’Erguillère, breakfast, an almost sacred ritual starts: local produce, French toast, squeezed oranges, fruit salad and strawberries in season, oysters. 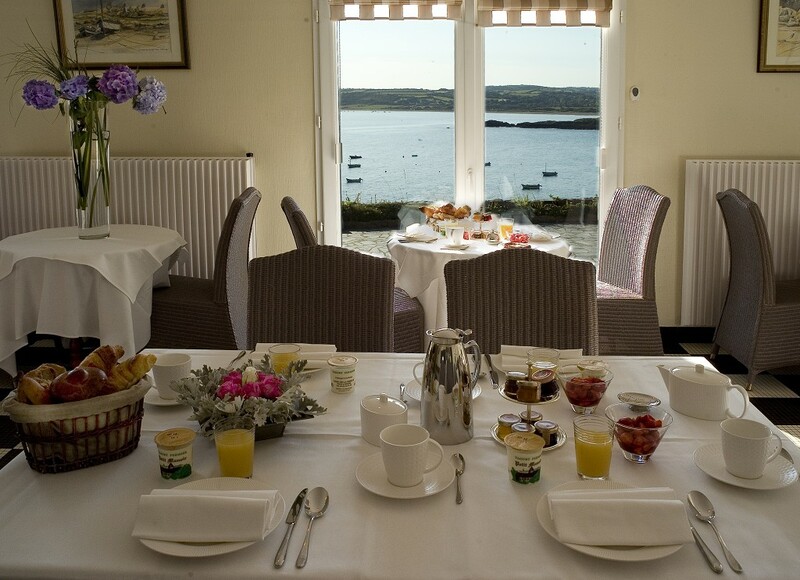 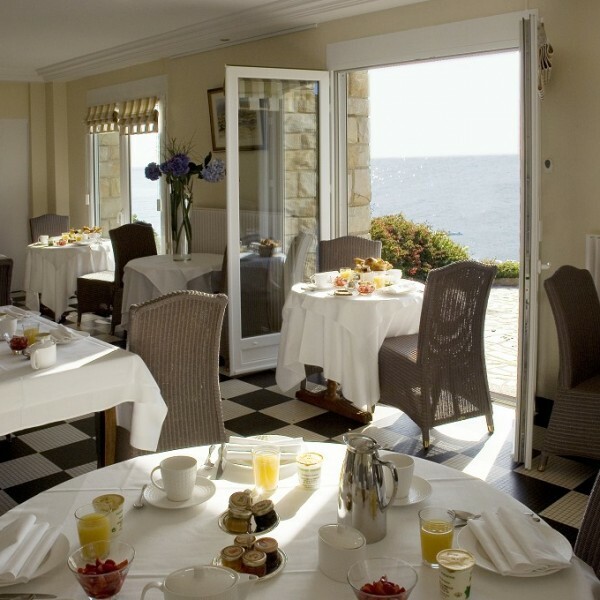 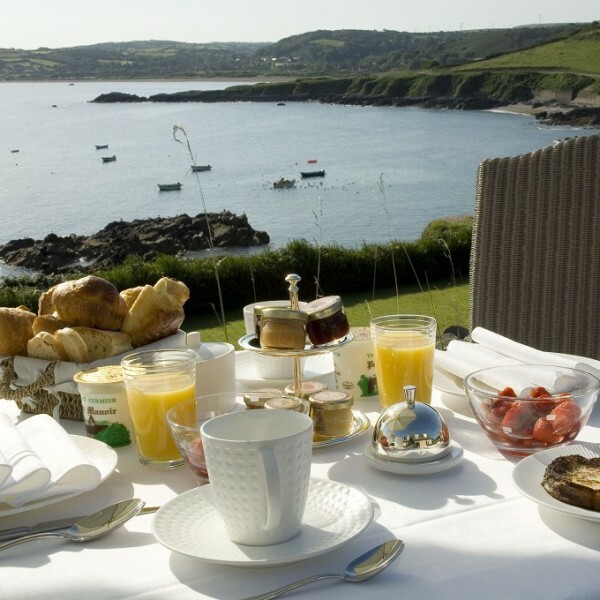 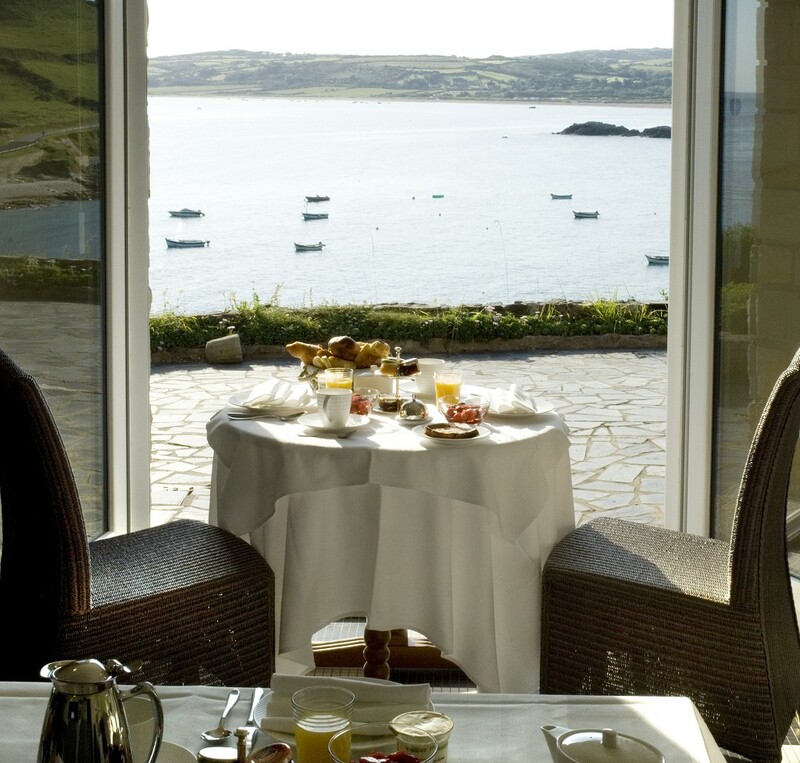 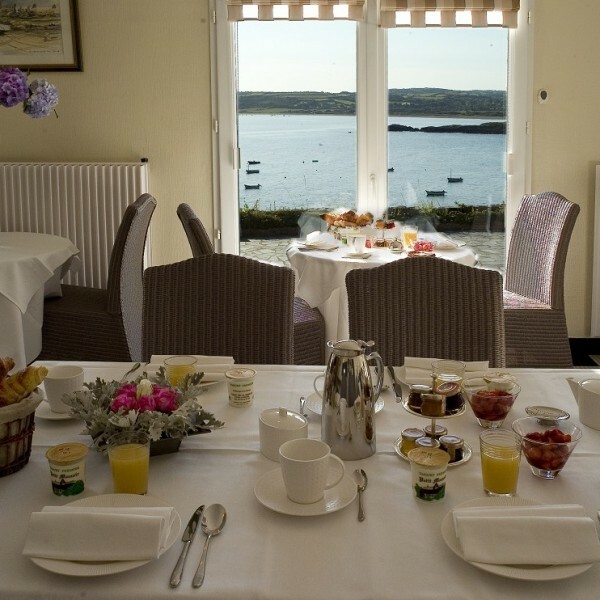 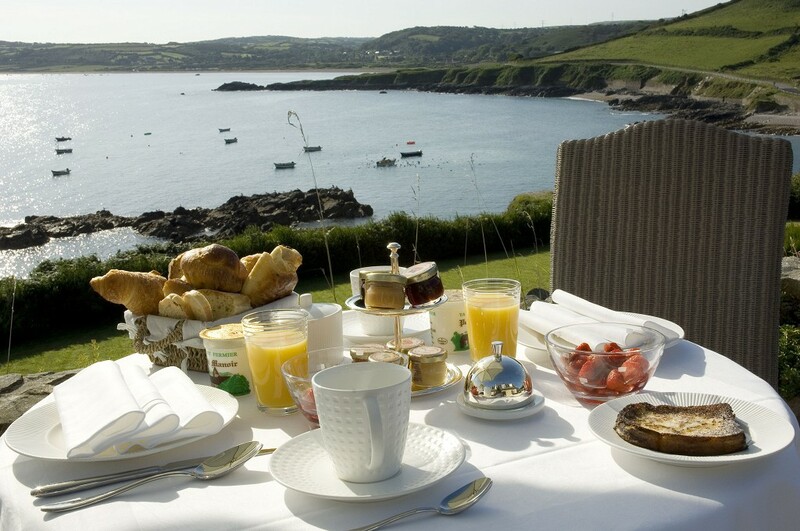 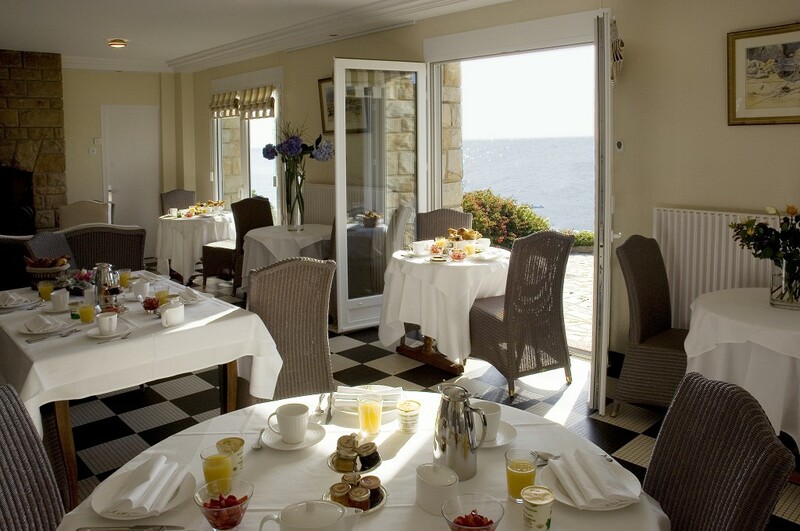 Take your breakfast in the large room facing the sea or on the terrace. 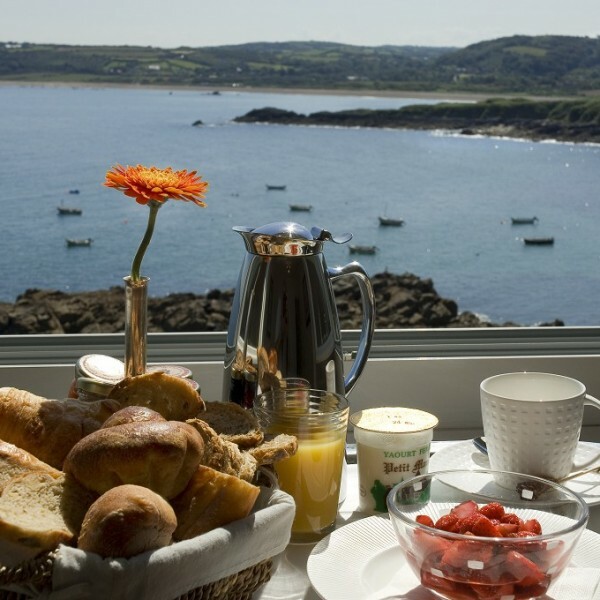 For the butter and cream: Isigny Sainte-Mère cooperative and, whenever possible, we cross the Alderney Race to buy the butter at Aurigny from Kiln Farm. 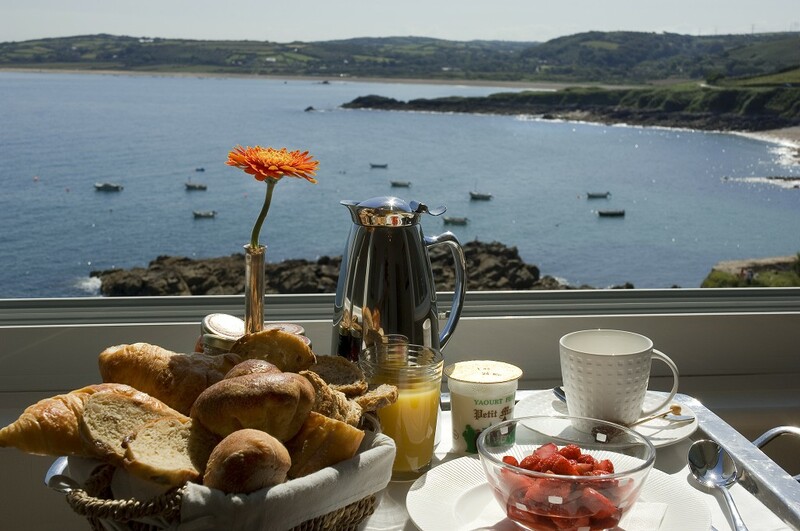 The butter they produce from Jersey cows is golden yellow and quite delicious. 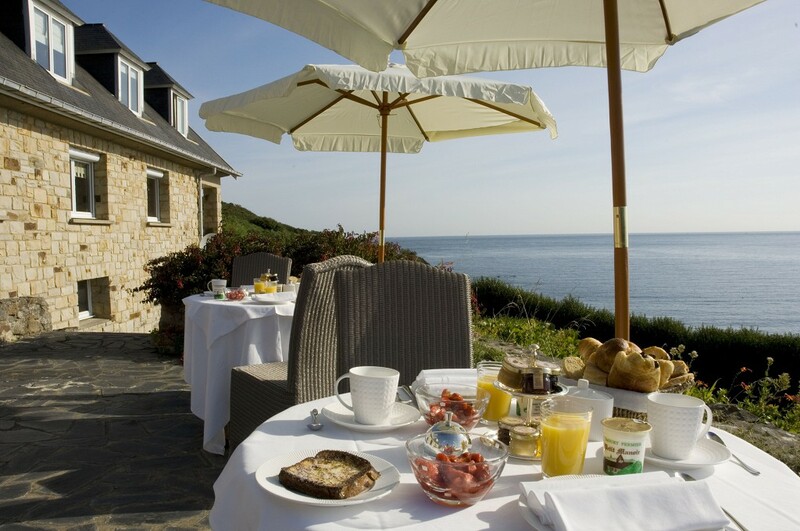 For the honey: The award-winning Le Haguais Honey made by Mr Boivin at Beaumont Hague, a 100 % local product.